With the midnight sun high overhead, the colossal, boreal forest of the Chugach Mountain Range looming on the horizon, and the sparkling waters of Cook Inlet summoning like a siren, Anchorage provides endless possibilities for adventure and entertainment at every skill level and budget. It is a city of unexpected delights, and its cultural offerings are no exception. Anchorage is alive year-round with adventure, recreation, seasonal festivities, sporting events and more. Visit when the snow flies! This modern city is surrounded by spectacular wilderness with adventures just steps from your B&B. Summer days stretch long, with massive flower blooming in the heart of the city, monster salmon surging up nearby streams and live music filling the air. During winter, downtown Anchorage dazzles with thousands of lights and the excitement of activities like Anchorage Fur Rendezvous and the ceremonial start of the Iditraod Trail Sled Dog Race® reverberates throughout the entire city in early March. Itineraries read like a wish list for those with a love of the natural world. Lose track of time on more than 135 miles of lush, groomed and carefully maintained city trails. Share the space with moose, bear and fox. Hike to the top of Flattop Mountain, tee-off at 10 p.m. Join the winter fun with a ski through the city, or chill out on one of the city’s skate ponds. Long established as the arts and entertainment capital of Alaska, Anchorage offers visitors unparalleled, authentic Alaska adventure with outstanding amenities. Explore the day away then close with an exquisite meal. Then come home to quietude at your Bed and Breakfast for a good night’s sleep in a private, homey environment. Thanks to Visit Anchorage for this verbal picture! 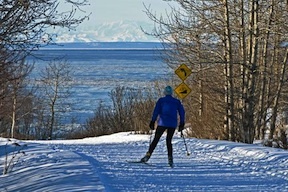 This entry was posted in Anchorage Events, Attractions, Winter and tagged Anchorage Events, Attractions, Winter by admin. Bookmark the permalink. Great post! I love the images of the glacier. 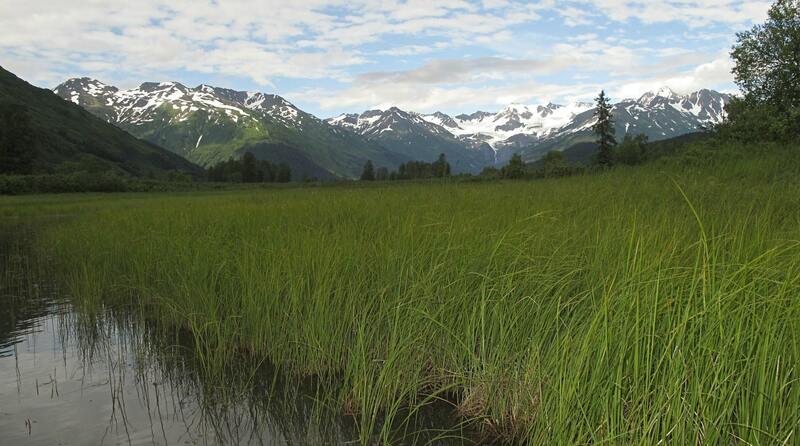 The Chugach Mountain Range looks like an adventurous journey for skiers and hikers. I wonder how my camera would hold up in that cold weather. 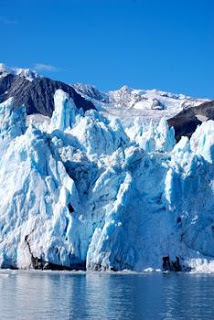 I just found vacation rentals vail Colorado, but for my 2013 vacation, I am going to look into Alaskan vacations. Thanks for the inspiration!